I am hoping this letter finds you in good shape. Firstly, you have already noted here that I have written this letter in ink to make a natural statement. My envisioned intention was to write in yellow ink to make a robust statement of the intent of my party stronghold in this letter. However, there is no yellow ink at the moment and even if it were around, it wouldn’t be readable clearly on white paper. Adiru Fatuma (he is my secretary) had said to give her the letter and he types on computer; yellow font against black background. But I said no, my intent is not against Anite, we are birds of a yellow feather. NRM for life. 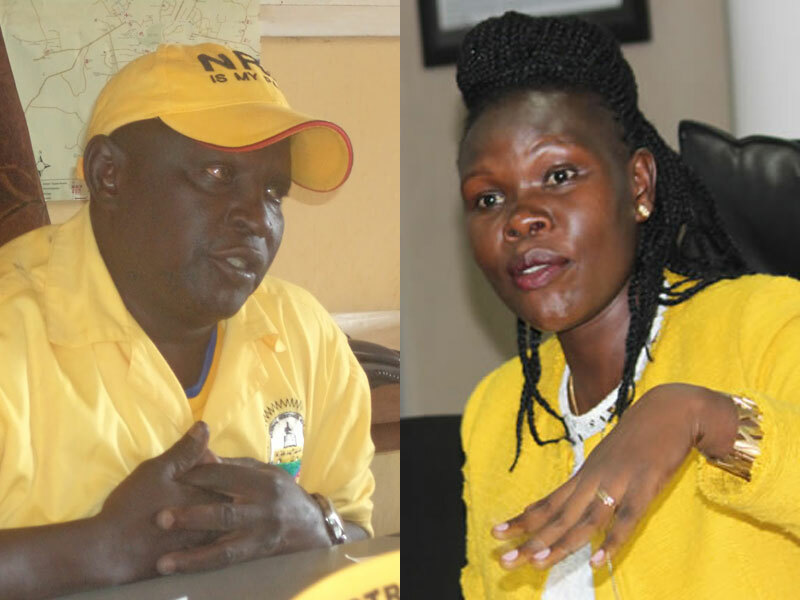 NRM is yellow and yellow is gold. Just for clarity, I have fastened above my photograph wearing that nationally famous yellow suit and I also used a yellow clipper pin (if you noted). Now, Evelyn, you have been widely quoted as saying all Ugandans must have utl SIMcard as a patriotism. From my gathering and information sharing with sources, this was not a cabinet decision. As you are well aware, only HE the President Yoweri Museveni has the mandate to make such a decision without consulting cabinet. I know utl stands for Uganda Telecoms Limited, but the colour blue makes my stomach turn upside down like some ruffians are training kung fu and judo inside of me woo-hoo woo-hoo. Why couldn’t you first consider this before asking everyone to move around with blue colours on their bodies? Imagine the whole of the country people buy utl lines, utl becomes big, and then what? They will produce a lot of banners and billboards and erect them in the city strategy spots. And T-shirts too. Then if people wear freely given out utl T-shirts, the result will not be good nationally for the party. Let’s get this clear. You have a gesture noble in intention. That is good. But attempt to implement your gesture is wrong style as well as in character. Consult, Eva. Consult. Consult me as your elder, consult the party, consult the Chairman and HE. If you had consulted, we probably will have muted the idea of starting the party telecom, maybe buying into MTN shares and making that yellow brand of theirs fully ours. The party is very capable of starting own SIMcard network in this country. Lest you misunderstand my good intents in this letter, I appreciate fact that many of you ministers have overlapped functions where one goes for months even a year without anything tangible to say to public so they know you are minister of this and that portfolio. This makes the temptation to just say anything for public attention. Like the case of the other two ladies ministers. But this can be avoided by looking deep and wide in the countryside. So many things to implement there, investments, food campaigns, health etc. For example, if it is health you can connect with health ministry and make a partnership tie that will roll out a good investment for health supplies for the people. That is better than pulling this utl drama on the people who pay taxes to this nation. My idea of patriotism is firmly rooted in my sworn belief that the NRM has done what even God himself would not have achieved for this country. NRM should henceforce be the basis of patriotism. The current utl needs revamp and rebrand to make it blend with the party vision. We can get to that idea you have after all these have been done. I am coping in this letter the HE the commander in chief and party chairman, the NRM secretary general and others hoping that they look into this matter and we settle it in the best interest of the party. Hon. Col. Ibrahim Abiriga, MP Arua Municipality. DISCLAIMER: The Suited Penguin is satire column which may or may not use real names, often in fictitious ways. The column is mostly the work of fiction or parody. Any resemblance to the truth is purely coincidental, except for all references to politicians and/or celebrities, in which case they are based on real people, but still based almost entirely in fiction.